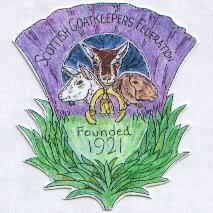 Articles and Pictures sought for first Scottish Goatkeepers Federation and Highland Goat Club Yearbook. Adverts will be available to goatkeepers to advertise your herd. Two sizes available- full page (A5) or half page (A5). Cost will be £10.00 for full page, or £5 for half page. Closing date for submissions is the 21st March 2010. Would be good to get some material! What sort of articles are you looking for? I am happy to try and write something although I don't have a topic in mind. Are you looking for sort of biographical pieces or just ordinary day to day goat keeping articles like those in the magazine about goat husbandry, dairying etc. Anything you want to write! Both if you feel so inclined I have a few adverts so far, and pictures, but not many articles, although a few promised. Hi Beth, Ill see what I can do. What sort of pictures are you looking for? Ill get something written and to you before the deadline....please feel free to let me know if its rubbish. I've read your articles before- they're never rubbish! I must get on and write up my articles! So, anyone got any articles or pictures for me? Really sorry, a bit behind, been filling out job applications like a maniac. I can send you some random pictures of my girls if that what your looking for but my article is not finished yet. Can I send it to you tomorrow afternoon? It's fine you still have time- I was just chasing! I still have my article to finish off yet! I must do that this weekend. Yes got the article and pictures thank you very much. The ointment recipie would be great too- I was just looking at my comfrey the other day thinking about it. Any article will be better than the load of rubbish I sent in !!! Your contributions are always great...you compiled the magazine most of the time when you were editor and it was never rubbish! Hows the year book going? Just wondered if its still going ahead? Not received one although if its been sent it probably due to the often dire postal service in my area...I blame the postman!